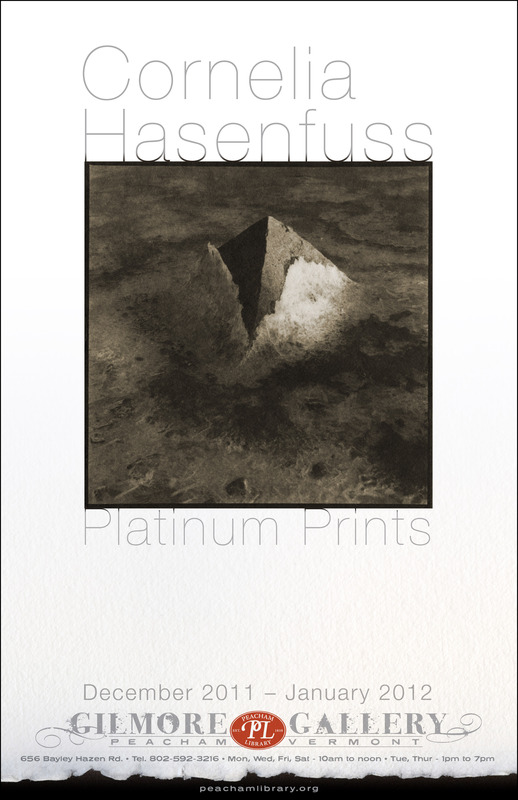 Platinum photography prints by Peacham’s own Cornelia Hasenfuss are being featured in the Gilmore Gallery at the Peacham Library from December first through the month of January. Titled “Triptychs in Nature,” the show includes hand-coated platinum contact prints focusing on the natural world, its shapes, patterns and textures. We invite you to come in and explore these unique, complex and haunting images.